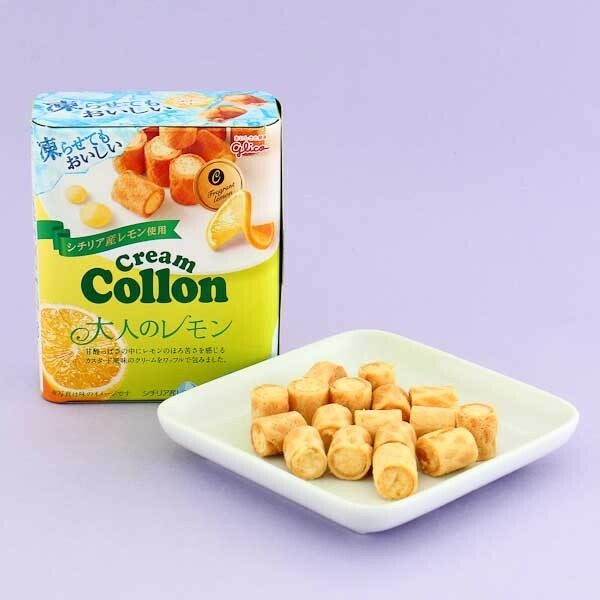 Glico's Collon biscuits are little wafer roll tubes with a delicious and soft creamy filling. 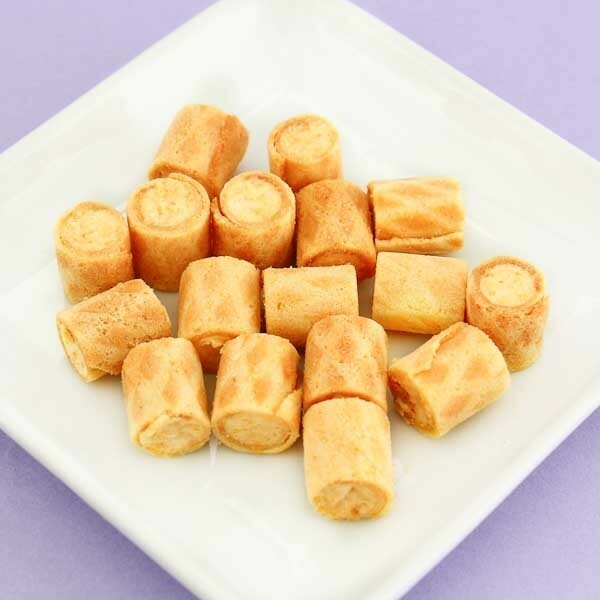 The crunchy texture and deliciousness of the ice cream flavored filling are something that you will not find from any traditional western snack. Every package includes 6 small sachets full of wafer roll treats! Despite the strange name, these are a must try for every fan of Japanese sweets! 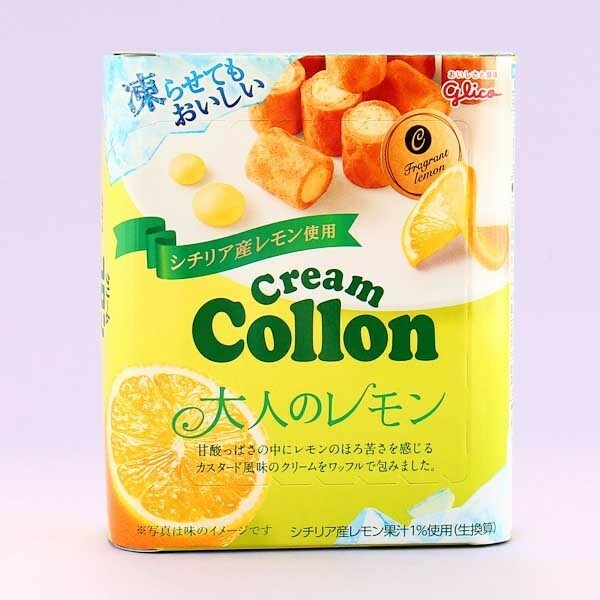 Fresh summery Collon with lemon flavor!